If you are still unsure whether flossing after brushing is important, let me assure you that it is extremely important. I’ve suffered from tooth and gum problems all my life. I got 3 crowns in my mouth before I hit 40. This is partly due to heredity and partly due to poor oral hygiene. At least that’s what the dentists said. Since I hate the pain of string flossing and don’t have a huge bathroom space to keep a countertop water flosser, buying a cordless, portable model was the only option left. Oh, and I also couldn’t afford to buy an expensive oral irrigator. 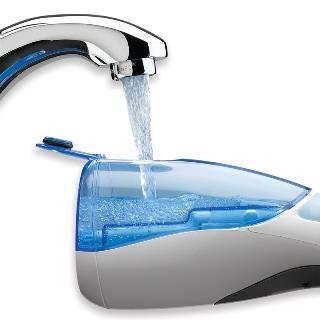 So after taking all these points into consideration, I decided to go with Waterpik WP-450. Well, it’s not the most elegant-looking, most powerful waterpik in town. But for me, the gentle stream of water combined with intense cleansing action work pretty well. Plus, it is not awkward to use in the sink, leaves no mess and holds the charge quite well. 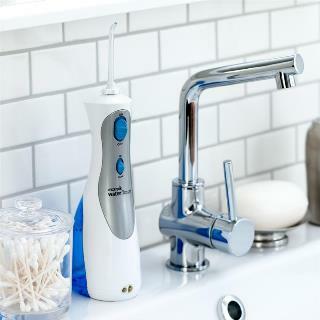 If you have the same requirements as mine, Waterpik Ultra Cordless Plus Water Flosser might be everything you are looking for. But you should always know a product inside out before buying. Let me help you with that. How about we start by taking a quick look at the primary features of this flosser? 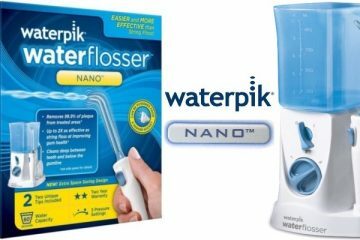 What Exactly Is Waterpik Ultra Cordless Plus Water Flosser? 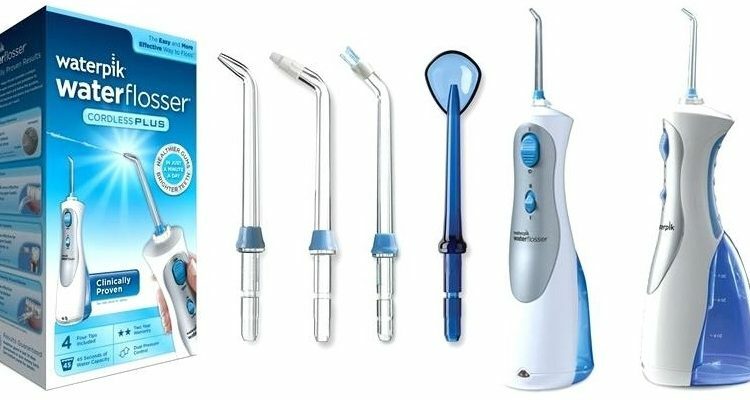 Is Waterpik Ultra Cordless Plus Water Flosser Worth Buying? Includes a 360-degree rotating tip to clean between and the underside of your teeth. 4 flossing tips- 1 Classic Jet Tip, 1 Orthodontic Tip, 1 Plaque Seeker Tip, and a Tongue Cleaner. Has a 7 oz. (210 ml) reservoir which provides 45 seconds of flossing time. Dual pressure settings- low and high. Pressure range between 45-75 psi. Provides 1450 pulsations per minute. 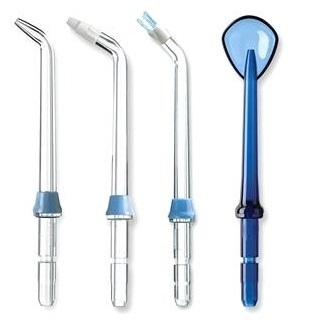 This is not the first time Waterpik has come up with a quality water flosser which can be used by everyone. 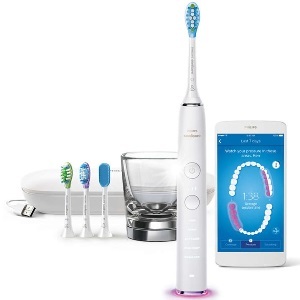 The brand is creating wonderful devices to ensure optimal dental hygiene since 1962. Their products are reliable, durable, perform well and most of all, are tested by dentists. 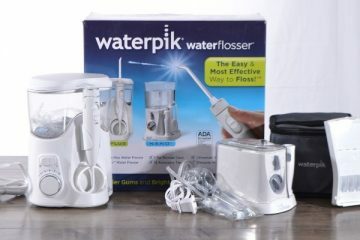 The Waterpik Ultra Cordless Plus Water Flosser is a miniature version of their bulky tabletop flossers. It is cordless, portable and can be easily packed into backpacks for trips. The unit is completely waterproof. You can use it in the shower and leave it in the bathroom without worrying about the mess. Holding and maneuvering the device is quite comfortable too. 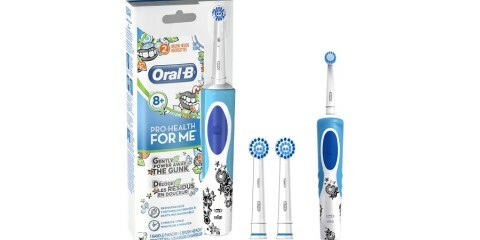 It features a rotating tip that forces out food particles and bacteria from the most hard-to-reach corners of your mouth. The cleansing action is so effective because it uses both pulsation and water pressure to floss the targeted areas. To further customize your flossing experience, you can change the direction of the water stream just by twisting a ring at the base of the nozzle. Although it is not ultra lightweight, it is still much lighter than traditional water flossers. It also lets you choose between two pressure settings- low and high. At the low setting, a gentle breeze massages your gum and carefully washes away plaque and food bits from the most obscure corners of your mouth. You might feel that your mouth is squeaky clean after brushing. But you are wrong. Trust me when I say that a lot of debris are left back even after you brush. I realized this the very first time I used this flosser. Instead of plain water, I spit out tiny food particles after flossing. I thought they were gone after brushing. The intense pressure setting works great on cleaning dirt and bacteria from the front and underside of braces, crowns, veneers and dental implants. It uses a 7 oz. water tank. For a normal cleaning cycle, you might have to refill the tank once or twice. The portable flosser is great for those frequently suffering from periodontal diseases, tooth sensitivity or receding gum line. I can also carry it anywhere in the U.S and many other countries without any problem since it works on 110 VAC power supply. 1 Orthodontic tip specially designed for cleaning braces. 1 Plaque Seeker Tip for dental implants, bridges, and crowns. All the accessories come in a neatly sealed box. 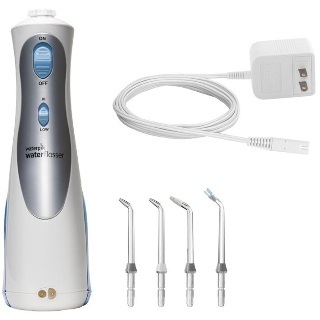 The Waterpik Ultra Cordless Plus Water Flosser looks very plain and simple. I guess that’s what I like the most about it. Not everyone likes a futuristic, fancy looking water flosser. You should rather focus on the ergonomics and that’s where WP-450 shines. The body of the unit is covered with ribbed rubber grip to help you get a firm hold on the flosser. It’s not that heavy, therefore holding it upright for a minute shouldn’t be any problem. However, holding the unit at the perfect angle to your mouth has a bit of a learning curve. You’ll get better at it with time, don’t worry about it. You can also change the direction of the water jet stream by twisting a ring at the base. But to do that, you will have to use your second hand. Not a problem for me, at least. There’s a power button on the unit which you have to slide up and down to switch on and off the unit. Right beneath that power button, you’ll find the pressure control sliding switch. Both buttons are tactile and they make controlling the device super easy. A self-contained 7 oz. reservoir is located at the base of the rear side of this unit. It is see-through which will help you keep tabs on the water level. There’s a tiny sealed flap which you have to pop open in order to refill. You don’t have to worry about water splashing as the tank is beautifully sealed. It usually takes me 2 refills to complete my flossing routine. I know that refilling twice through a tiny opening can be annoying. But you need to remember that this unit is primarily designed for travelers, for personal use, and for those who don’t have a huge bathroom counter space and those. You can’t accomplish all these with a huge water tank. The unit has a built-in 360-degree rotating tip to help you reach the hard-to-access corners of your mouth. I don’t have to awkwardly twist my wrist to ensure that the gaps between my teeth and the underside of my crowns are clean. In addition to this, the package also includes 4 different types of flossing tips. Classic Jet Tip- Squirts a powerful stream of water to force away dental plaque from the nooks and crannies of your teeth, braces, and crowns. Orthodontic tip- This unit has a cluster of soft bristles on it and is best for cleaning braces. In fact, it is clinically proven to be 3x more effective in eliminating plaque from braces than string floss. Plaque Seeker Tip- This tip is particularly beneficial for cleaning food particles, bacteria, and plaques from dental implants. It is supposed to be 2x times more efficient at ensuring healthy and strong gums than string floss. Tongue Cleaner- Another favorite addition of mine. As the name implies, it removes bacteria living on our tongues and lets you get rid of bad breath. For eliminating those stubborn food bits stuck between your teeth, the high-pressure setting works quite well. I’m not saying that 75 psi pressure is ideal but it gets the job done. For a more, relaxing, gentle cleaning, you should use the low-pressure option. It is great for those with tooth sensitivity, teeth gaps, and gum problems. You should charge the battery fully before using the flosser for the first time. Charging is easy and once fully charged, it lasts me for 4-5 days or even a week at times. It takes 24 hours to complete the charge which is ridiculously long. However, you won’t have to worry about running out of battery juice if you charge it once in a week. One thing I don’t like at all is the lack of a charging indicator. No LED light flashing, no beep sound, nothing. Waterpik should seriously look into this. Cleaning the reservoir is as easy as it gets. Just put it under running tap water to clean. For best results, completely detach the tank for cleaning. The reservoir is also dishwasher safe to make your life easier. The pressure control slider button is a bit flimsy. That won’t be a problem if you are a single user since you will mostly stick to one setting, therefore won’t slide the button repeatedly. Also, the tank is quite small. You will just have to refill it once or twice every time you floss. It’s reliable, compact, easy-to-use and efficient. True that even the high-pressure setting doesn’t pack a lot of punch. If you have to choose between portability and intense water pressure, what would you choose? Ask yourself. 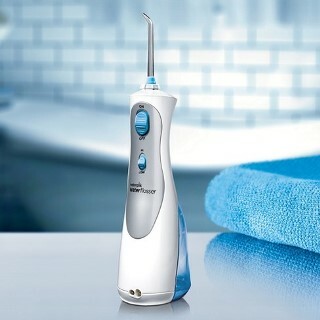 If all you want is a portable device to regularly take care of your oral hygiene, Waterpik WP-450 is quite a decent choice. The battery is also great which makes it a highly travel-friendly option. The sealed tank doesn’t spill water. Ergonomic design with rubber grips. The pressure control buttons are a little wonky. The reservoir size could be bigger. To sum up, WP-450 is a value for money deal for single users, frequent travelers and those who don’t have a lot of space to spare in their bathroom. The small tank size and lack of highly intense water pressure are problems, right. But this is the price you’ve to pay for easy portability and affordability. I hope this clears all your doubts about the product. Happy shopping!